How to make preserves of your favourite fruit or veggies is one common question that runs through your mind especially when eating your favourite preserve. The answer is simple yet complicated, but if get the formula right you’ll have a flavourful and tasty preserve. You simply just have to know the basic procedures. Most preserves don’t usually suit your taste buds, some are too sweet, and others are salty and sometimes sour. It’s nice to know that when summer starts, lots of fruits are available in local markets. It is easy to make your own preserves the way you like it and preferred right in your own home. Most preferred preserves people like are strawberries, peaches, cherries, melons, apricots, plums and wild berries. Even though most jams and preserves are available in supermarkets today, most people still prefer homemade jams and preserves. You can adjust the recipe which suits your taste and can also regulate the sweetness and no chemicals. Jams and preserves are different from each other. Jams are finely mashed or sliced fruits simmered with sugar until finely cooked while on the other preserves are made of whole or large pieces of fruits cooked in thick sugar syrup. In order to make a good and delicious preserve, you must know which fruits are low and high in pectin. Low pectin fruits are strawberries, blueberries, peaches, apricots, cherries, pears, pineapples and grapes while high pectin fruits are apples, plums, cranberries, red currants and gooseberries. Pectin helps in the jellying process on making preserves. Here are some tips on how to make preserves. These are just simple tips for you to understand on how to make preserves. All preserves starts with a fresh and delicious fruit. A well textured preserve has four main ingredients; liquid, acid, sugar and pectin. Following and understanding your recipe will result in a good preserve also. A good preserve must reach its boiling point to achieve its jellying form. Sealing your preserves in a sterilized mason jar ensures the freshness of your preserves. 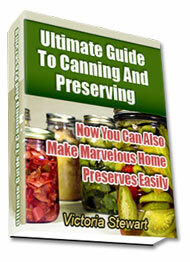 The most preferred method of canning in preserves is water bath canning. This process helps to prevent growth of mould, flavour loss and discoloration in your preserves. 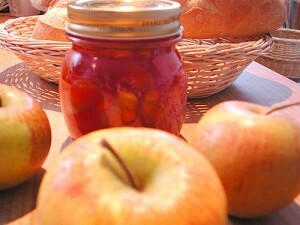 In making preserves at home you can also adjust the sweetness in your preserves the way you prefer it. Storing of preserves may be refrigerated or not depending on food. Homemade preserves are naturally sweet, low in calorie, delicious, budget friendly and economical. It can be a good source of income and it is also ideal gift for your friends and neighbours for now you know how to make preserves.